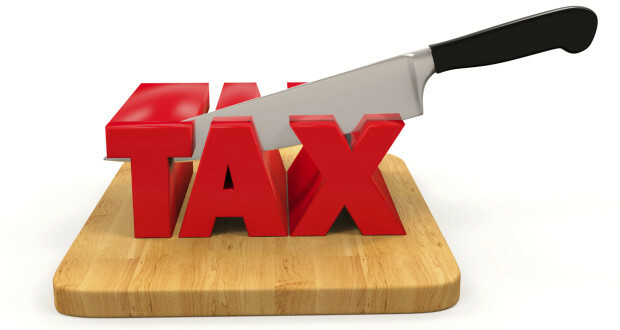 Editor’s Note: For this November Edition of the Washington Newsline, we’ve included a special section on the proposed tax bill, with various articles describing what you need to know about it. 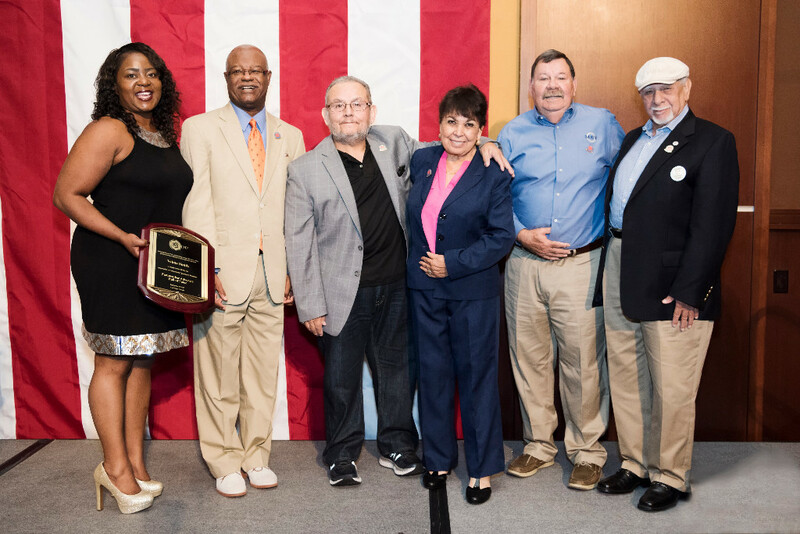 Photo Credit: Richard Roe, Kentucky Farmworker Programs, Inc.
See 50th gala video presentations here. Telamon North Carolina's Project IMPACT wrapped up a successful program serving 45 youth members of migrant farmworker families, ages 10-17,this summer in Sampson County. 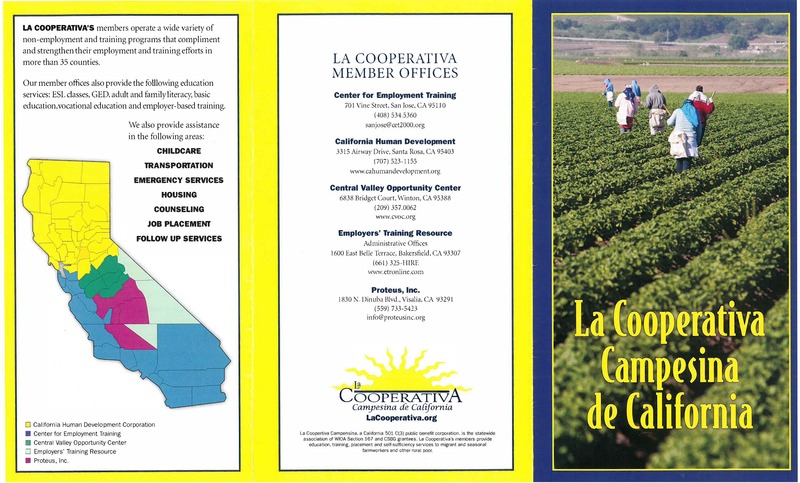 La Cooperativa Campesina de California and its member organizations provide employment and job training to over 38,000 Californians, most of whom are farmworkers working toward a new career. 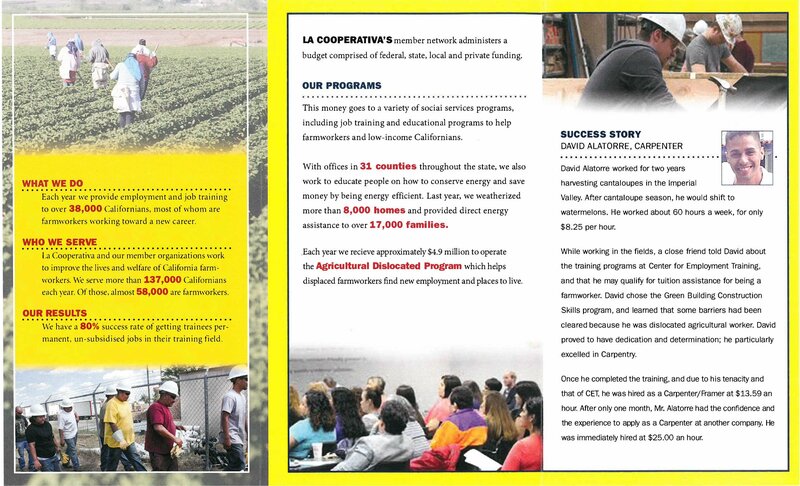 La Coop members have an 80% success rate of getting trainees permanent, unsubsidized jobs in their training field. La Coop Releases October “Voice of the Fields"
Proteus is doing some great things. Read on to learn more! Taking care of our people. One at a time. We provide education, health care and job training. 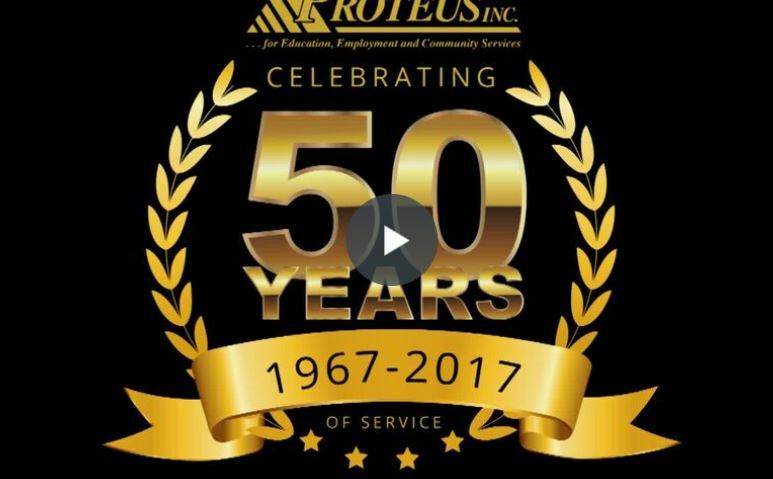 Read more about the great ways Proteus is improving the quality of life for others. The National Transportation Safety Board (NTSB) adopted a report today on a fatal highway crash involving a bus transporting migrant agricultural workers that collided with a truck-tractor at an intersection near St. Marks, Florida, on July 2, 2016. The truck driver and three bus passengers died. The NTSB determined that the probable cause of the crash was the bus driver’s failure to stop at the intersection due to inattention, likely caused by the effects of fatigue, and his unfamiliarity with the rural roadway, which was dark with limited lighting. Contributing to the crash were the failure of Billy R. Evans Harvesting, Inc., to exercise adequate safety oversight of the bus driver and the lack of effective oversight of the motor carrier by the Federal Motor Carrier Safety Administration (FMCSA) and the United States Department of Labor. Adding to the severity of the injuries were the rupture of the truck’s right side-mounted diesel fuel tank, leading to a fast-spreading post-crash fire, and the failure of the truck driver to wear his lap and shoulder belt. A synopsis of the report can be found HERE. The AFOP Children in the Fields Campaign continues to work hard to raise public awareness and educate members of Congress about how federal labor laws discriminate against farmworker children by permitting them to perform dangerous work for long hours under conditions allowed in no other industry. 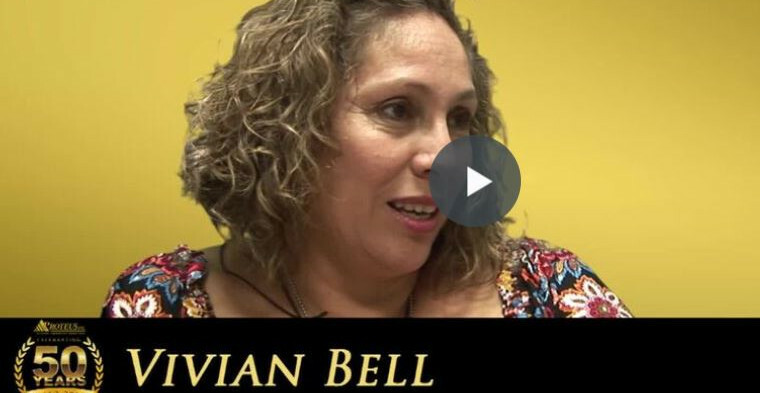 To amplify its efforts in this regard, AFOP, for more than two decades now, has participated in the Child Labor Coalition (CLC), a group of like-minded collegial organizations that advocates tirelessly in behalf of the interests of farmworker children. CLC works with congressional members to promote legislation that would repair these inequitable child labor laws. The “Children Don’t Belong on Tobacco Farms Act” has 16 cosponsors in the House of Representatives and the Senate companion bill has seven cosponsors. The Children’s Act for Responsible Employment, which would remove all child labor exemptions that currently apply to children in US agriculture, has 33 cosponsors. AFOP staff will soon be reaching out to AFOP members to re-endorse these vital legislative vehicles. Other recent work has focused extensively on social media efforts. The CLC issues educational tweets about the plight of farmworker child laborers three to five times a week to its 15,000 followers. The AFOP Children in the Fields Campaign staff retweets these message to its followers. AFOP encourages its members to retweet posts from @ChildLaborCLC and @CIFCampaign since the public is largely unaware that migrant children work on American farms. The CLC also continues to promote a video that it produced called the “ABCs of Child Labor” that has children talk about child labor in the United States and abroad. 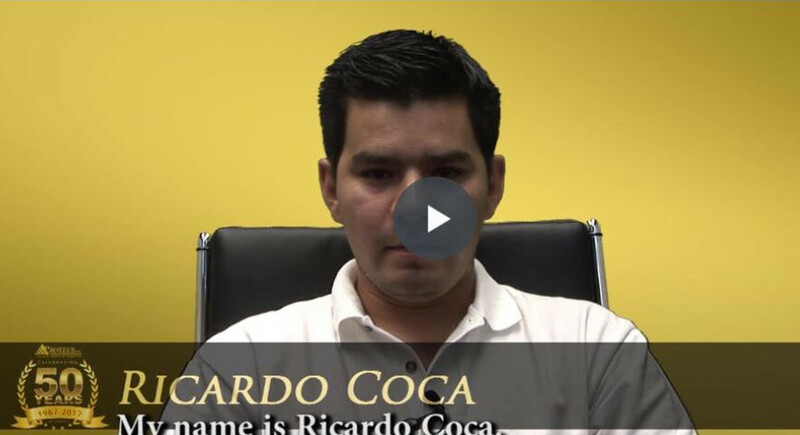 CLC has posted this engaging video on YouTube where it has had over 34,000 views. CLC is about to attend the quadrennial International Child Labor conference in Argentina where it hopes to remind the world that our uneven and unfair child-labor laws allow hundreds of thousands of migrant kids to work alongside their parents on American farms. AFOP has long argued that child labor contributes to the generational poverty that its members work so hard to end. 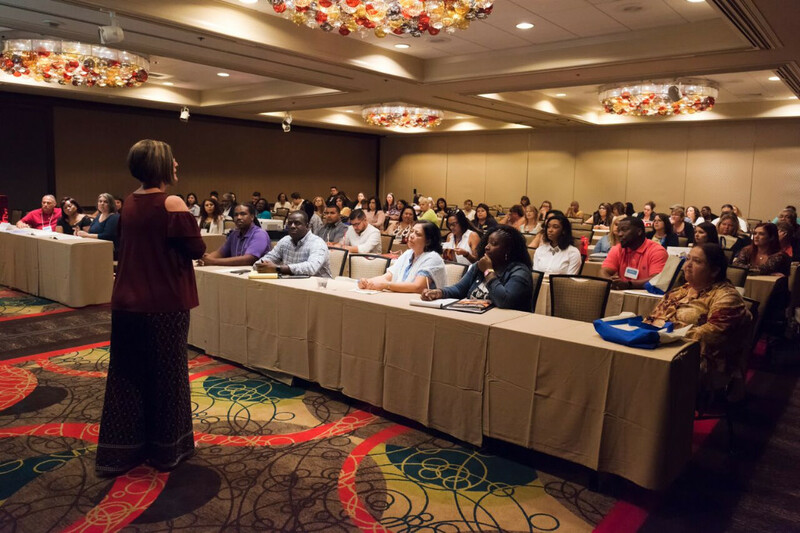 Should you have any questions about AFOP work regarding the nation’s labor laws, or its training of farmworker children in pesticide safety, please contact AFOP Health & Safety Director Melanie Forti at Forti@afop.org. Rosemary Lahasky has been appointed as ETA’s non-career Deputy Assistant Secretary effective October 29, after having served as ETA's Chief of Staff since late September. Rosemary has worked on employment and training programs for the past 15 years. Prior to joining ETA, Rosemary was with the both the House Committee on Ways and Means as well as the Committee on Education and the Workforce, and she was the lead on drafting WIOA. In addition, Diane Auer Jones has joined ETA as a Senior Policy Advisor to the Secretary. 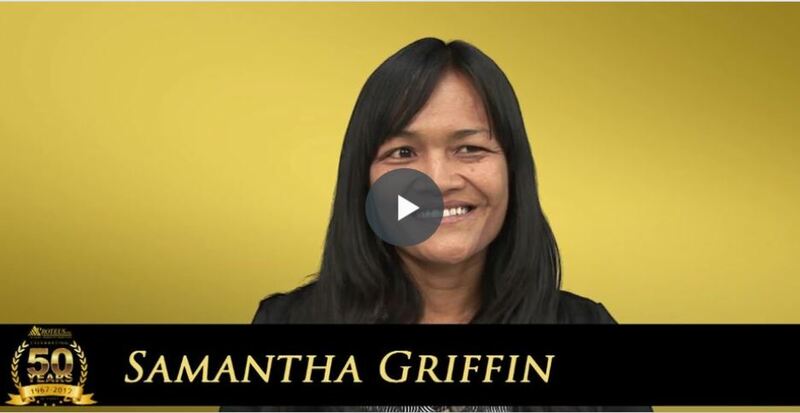 She previously worked as a senior fellow at the Urban Institute's Center on Labor, Human Services and Population focusing on public policy issues related to higher education and workforce training. 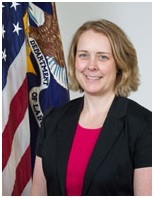 Amanda Ahlstrand is the Administrator for the Office of Workforce Investment at the Employment and Training Administration. In this role, she is responsible for overseeing five divisions and their programs with the goal of implementing an integrated national workforce investment system that supports economic growth and provides workers with the information, advice, job search assistance, supportive services, and training in demand industries and occupations needed to get and keep good jobs. Before becoming Administrator in December, 2013, she served as the Acting Administrator for the office starting in October 2011. 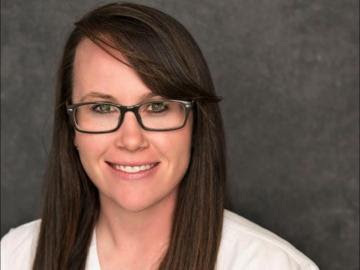 Amanda joined ETA in January 2003 as part of the Performance and Results Office, working across program offices to implement the common performance measures and providing training to the field on that topic. She joined OWI in Spring 2006 as part of the Business Relations Group, working with her team to facilitate employer engagement with the workforce system and implement a number of competitive grant programs including the Trade Adjustment Assistance Community College and Career Training grants, H1B Technical Skills Training grants, the ARRA competitive grants, and Community Based Job Training Grants. Prior to joining ETA in 2003, Ms. Ahlstrand worked for a private consulting firm, the U.S. Government Accountability Office, and the American Society for Training and Development. Ms. Ahlstrand has a Bachelor of Arts degree in Economics and Sociology from the University of Notre Dame and a Master of Public Policy degree from Georgetown University. Republicans in Congress seek to make good on their campaign promise to cut taxes by approving a budget resolution that allows them to move tax-cut legislation that opponents in the Senate cannot filibuster. 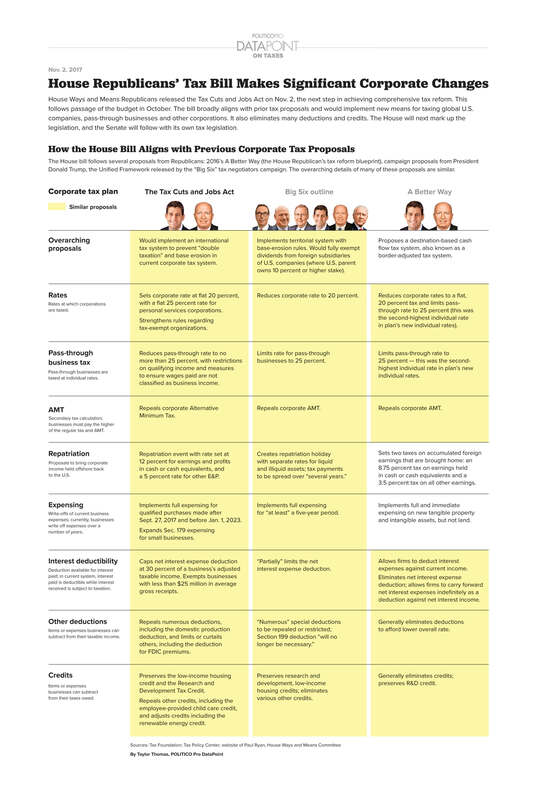 They argue that reducing taxes on corporations and certain high-income earners will spur economic growth that will make up the initial cost of these revenue reductions. 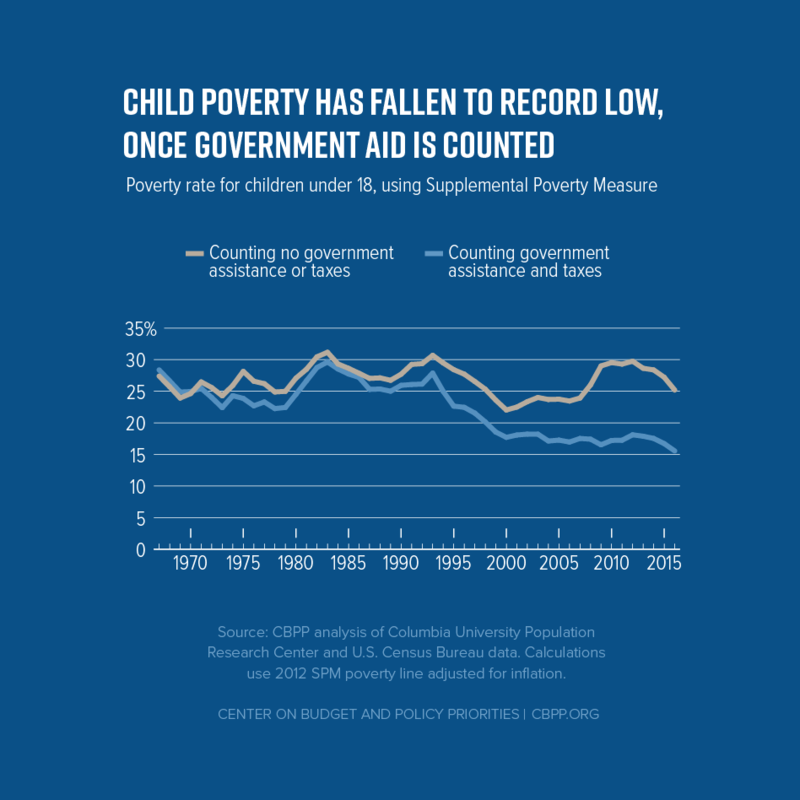 Several anti-poverty advocates and think tanks take issue with that argument, saying that the plan’s resultant federal deficits will force cuts to important life-sustaining entitlement programs, like Medicaid, food stamps, and Temporary Assistance to Needy Families (TANF), and put pressure on discretionary programs, like those involving workforce development, for deep cuts. See below their several analyses. Washington, D.C. – The Senate Democratic Policy and Communications Committee today released a special 50-state report detailing how the Republican tax plan is a giveaway to the wealthy that would hurt families across the country. The report shows how the Republican plan would raise taxes on middle-class families, give a huge tax break to millionaires and billionaires, and put deductions and tax credits that working families rely upon at risk. All 50 state reports may be found Here. On Wednesday, September 20th, Puerto Rico was devastated by Hurricane Maria. The estimated cost of destruction has risen to over 90 billion dollars. Structural damages, lack of food supplies, mass layoffs, and cut water and electricity are the order of the day. 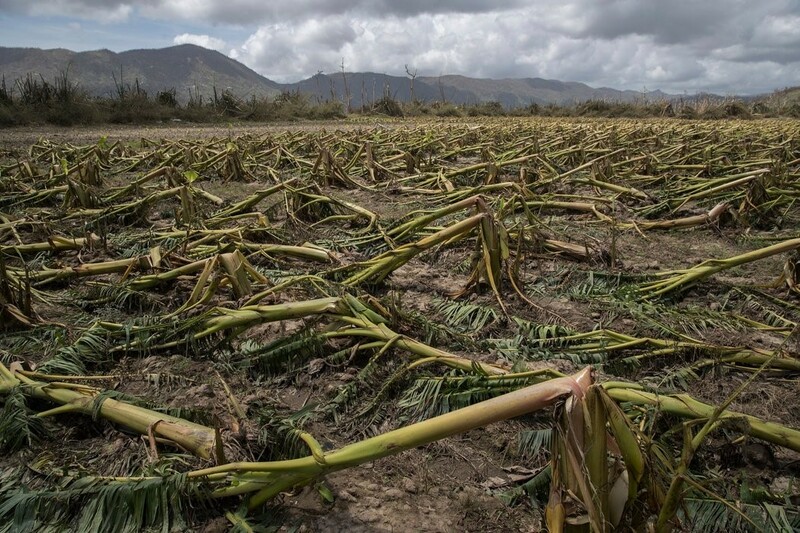 Maria’s passage devastated the island’s agriculture, leaving 80% of crops destroyed as stated by Puerto Rico’s Secretary of Agriculture, Carlos A. Flores Ortega. Everyone in the United States has rights, regardless of their immigration status. 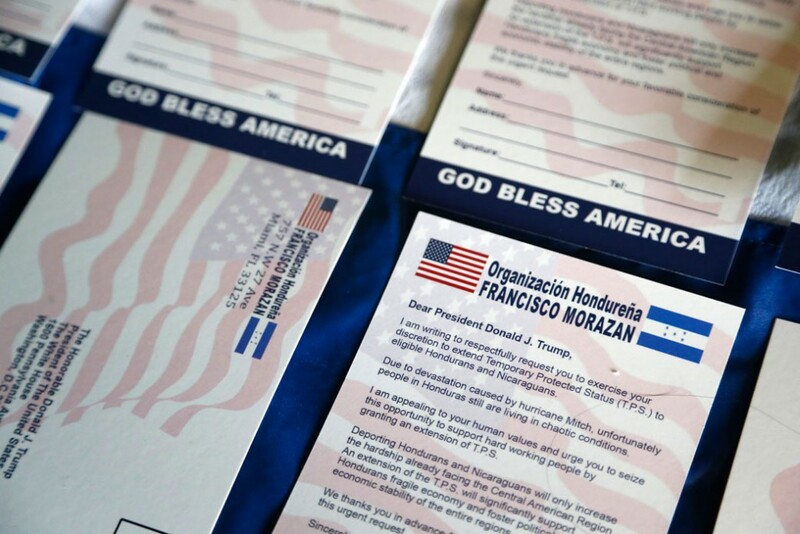 Immi, an organization that helps immigrants in the U.S. understand their legal options, offers "know your rights" cards, which are wallet sized, available in English and Spanish, and have information on what to do if questioned by law enforcement or immigration. The cards also have a place to put a lawyer's phone number. Click here to order the Immi “know your rights” card. 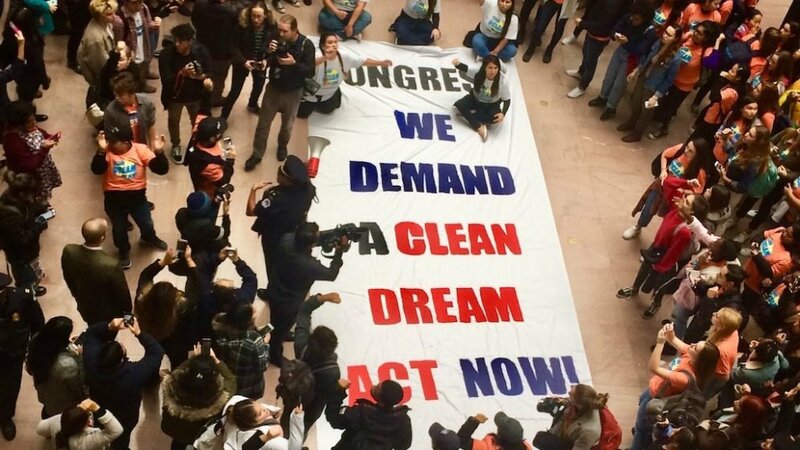 In the wake of the Trump administration’s decision to end Deferred Action for Childhood Arrivals (DACA), all eyes are on Congress to pass the Dream Act, to provide permanent protection and a pathway to citizenship for unauthorized immigrants who came to the country at a young age. As a previous Center for American Progress study found, passing the bipartisan Dream Act and putting potentially eligible workers on a pathway to citizenship would add at least $281 billion to the U.S. gross domestic product (GDP) over a decade, and as much as $1 trillion over a decade. But the benefits from the Dream Act accrue not just to the nation as a whole, but to individual states as well, and individual industries in those states. Currently, more than 300,000 people from El Salvador, Honduras, and Haiti live in the United States with Temporary Protected Status (TPS), a temporary legal status granted to individuals from designated countries facing ongoing armed conflict, disaster, or other exigent circumstances. These TPS beneficiaries are integral to the American economy and American society: They have lived in the United States for an average of 19 years and are employed at high rates, ranging from 69.2 to 83.5 percent. The contributions made by TPS holders, moreover, will only continue to grow in the future, as they are collectively raising families that include nearly 275,000 U.S.-born children. In pockets of rural poverty families need a way for the adults to get the learning they need to work, care for preschool children and aids to stay on the job, say professionals who work on these matters. High school students who take career and technical education courses during their junior and senior years are more likely to graduate on time and less likely to drop out, according to a study by the American Educational Research Association. The same isn't true for students taking the courses during their freshman and sophomore years, and taking CTE courses at any point during high school had no effect on whether students enrolled in college after high school. The findings come as CTE has become en vogue among policymakers, with the Trump administration regularly touting it and dozens of states expanding programs. A Brookings report earlier this month noted that in 2015 alone, 39 states instituted 125 new laws, policies or regulations relating to CTE, many of which increased state funding for such programs. "Knowing how the timing of course taking can make a difference, states and schools can better structure and invest in CTE courses to create stronger high school outcomes," said Michael Gottfried and Jay Plasman, the AERA study's authors who are both at the University of California, Santa Barbara. Chris Paige passed away suddenly on October 8, 2017. Chris recently retired from CHD as their third CEO, having first joined the organization back in 1975. 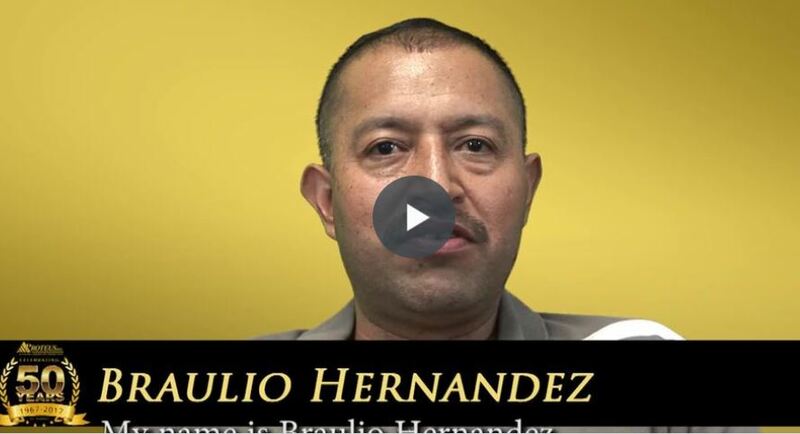 He was a past Board member and President of the Association of Farmworker Opportunity Programs (AFOP). 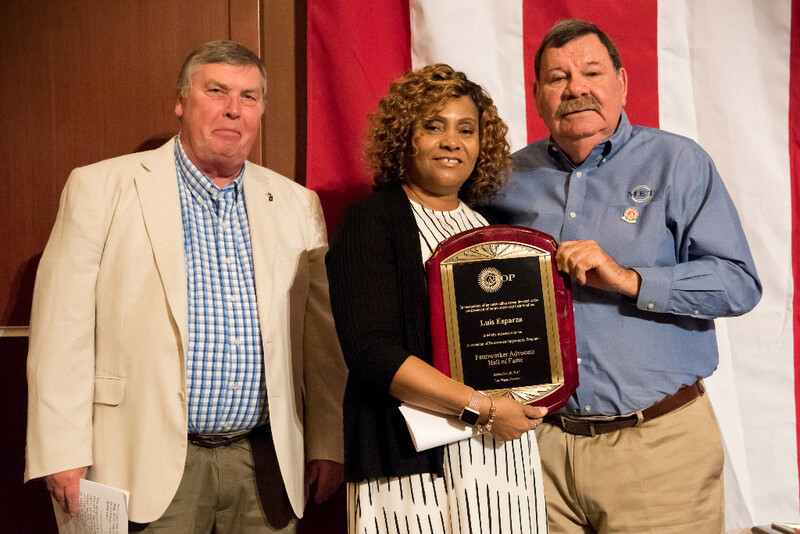 In 2016 he won the AFOP President's Award for exceptional contributions to improving the lives of migrant seasonal Farmworkers. 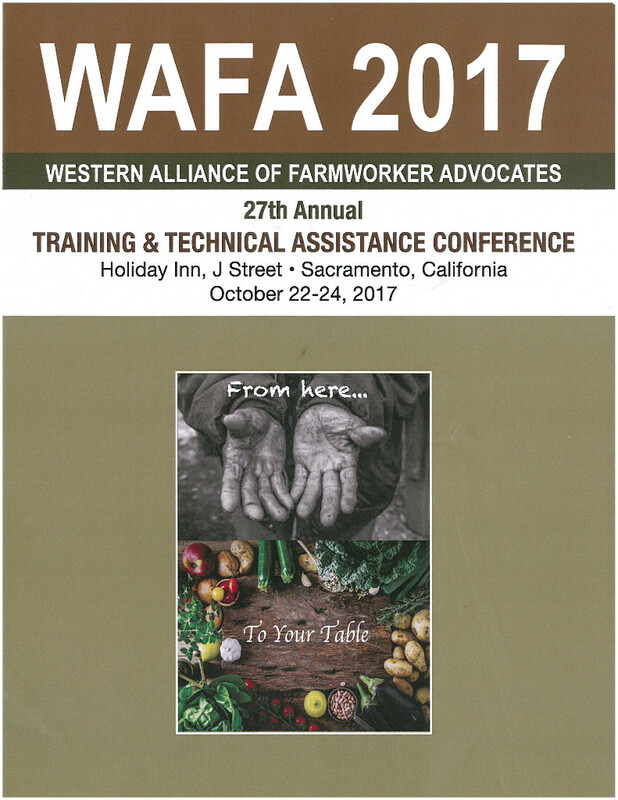 His death came just weeks before he was set to receive WAFA’s 2017 Quality of Life Award.He will be missed by so many in the farmworker community. 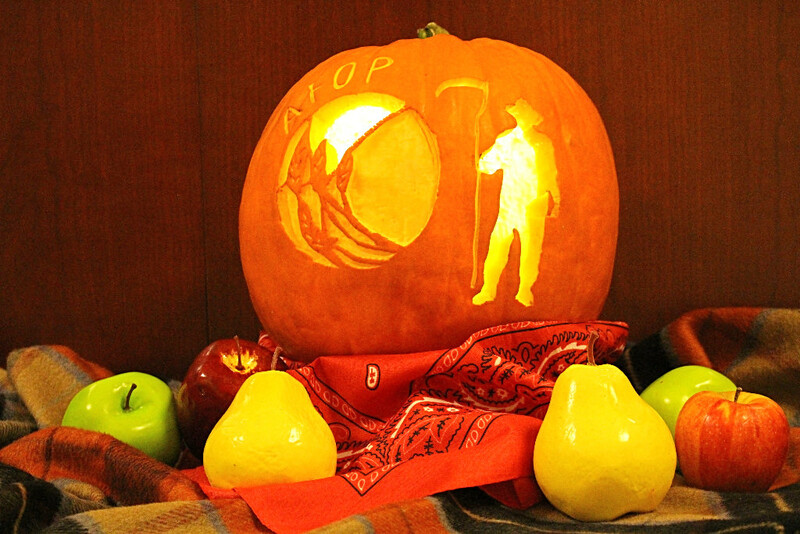 The AFOP Washington Newsline (ISSN# 1056-8565) is produced by the Association of Farmworker Opportunity Programs (AFOP), a national federation of agencies serving migrant and seasonal farmworkers. AFOP’s mission is to improve the quality of life for migrant and seasonal farmworkers and their families by providing advocacy for the member organizations that serve them. The publication is funded by subscriptions and the members of AFOP. 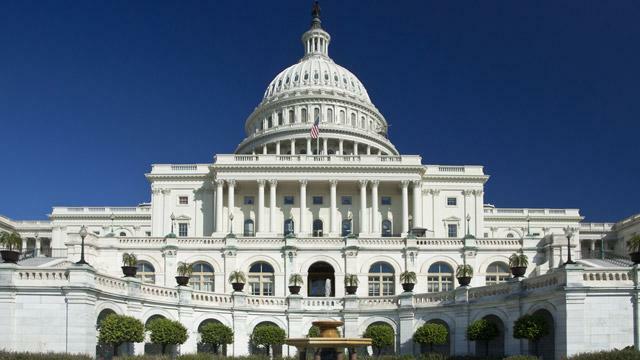 The Washington Newsline receives no financial support from the federal government. Staff may be reached by calling (202) 384-1754.